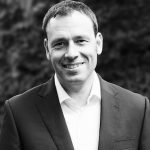 Today’s interview is with Ronny Gottschlich, the CEO and Founder of Heunadel Retail Advisory and former Managing Director of Lidl UK. Ronny joins me today to talk about disrupting the UK supermarket sector, Lidl’s approach to being able to achieve that and the role and value of simplicity in everything they do. This interview follows on from my recent interview – Blitzscaling and delivering customer support for Airbnb, Nest, Google & SuperCell – Interview with Brian Hannon of Voxpro – and is number 263 in the series of interviews with authors and business leaders that are doing great things, providing valuable insights, helping businesses innovate and delivering great service and experience to both their customers and their employees. Talk of disruption is often dominated by talk of new technology and new business models. However, Ronny was Managing Director of Lidl UK during the time when they started really disrupting the UK grocery market. 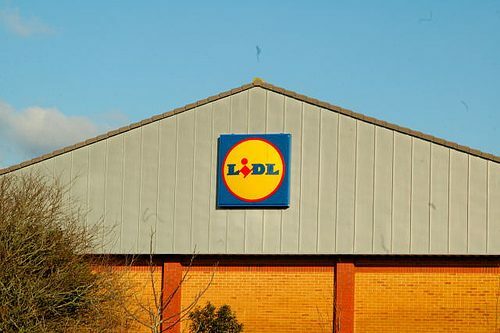 Lidl’s success was underpinned by some major changes to the way they operate in their German (home) market compared to the UK market. The British are, according to Ronny, some of the most demanding customers in the world. The three areas they found that mattered to the UK market and that they focused on was freshness, communication and ‘Britishness’. This was played out in public through their communications which focused on highlighting the freshness and ‘Britishness’ of their products. See the farmers market example here and examples that they created with their customers here, here and here as part of their #LidlSurprises series of campaigns. They broke the traditional psychological connection that exists in consumers minds that a low price means low quality. They knew that by establishing trust in ‘fresh’ categories like meat and vegetables then customers would shop about six times more with them every year. Striving for simplicity is a a fundamental cornerstone of Lidl’s business. Siegel and Gale have been staying simplicity via their Simplicity Index in business since 2009. 64 percent of consumers are willing to pay more for simpler experiences. 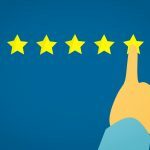 61 percent of consumers are more likely to recommend a brand because it’s simple. Brands that don’t provide simple experiences are leaving an estimated share of $86 billion on the table. A stock portfolio of the simplest global brands outperforms the major indexes by 330 percent. 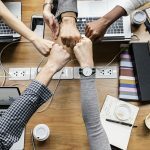 62 percent of employees at simple companies are brand champions—versus only 20 percent of employees at complex companies. Lidl is currently ranked at #2 in Siegel and Gale’s Global list. Looking for improvements and striving to do things better and make things simpler is part of their DNA. It is not incentivised or rewarded, it is just part of what they do. It is driven and initiated from both management and from employees in-store. This goes all the way down to how much change a cashier has in their till and how that affects the time it takes to serve a customer. To make things simpler in your own business, first look for the place where you have the highest leverage. In a retail setting then that would be the shop-floor, in-store and in the warehouse as that is where most of your people are and where most of the work is done. Take a look there from the point of view of the employee and take a deep dive into the whole operation and not just from when the store opens……look at the whole operation from the moment the product arrives…..Look at what times they arrive and how they arrive because quite often these things will have an effect on how many people you have and how long it’ll take them to work certain things onto the shop floor. Look at how much work is involved in not serving customers and making sure that the shop floor looks nice. Simplicity can’t be achieved by eliminating lines from a spreadsheet. Some retailers refer to their headquarters as customer service and I think that’s the right mindset. Check out Heunadel and get in touch with them to find out more about the work that Ronny is now doing. Ronny is an internationally experienced Chief Executive from within the food retailing sector with a demonstrable record of achievement leading transformational programmes and delivering YoY growth in highly competitive market environments, currently the CEO and Founder of Heunadel Retail Advisory Ronny Gottschlich & Associates and former Managing Director of Lidl UK. Ronny combines advanced financial and commercial acumen with exceptional abilities analysing customer behaviours and consumer trends and implementing precise value-added solutions for improving performance and increasing ROI. Find out more at Heunadel.com, check out Ronny’s Wikipedia page and do connect with him on LinkedIn here. We all want to be ‘world-class’ but what does that mean and what role does speed and efficiency play?